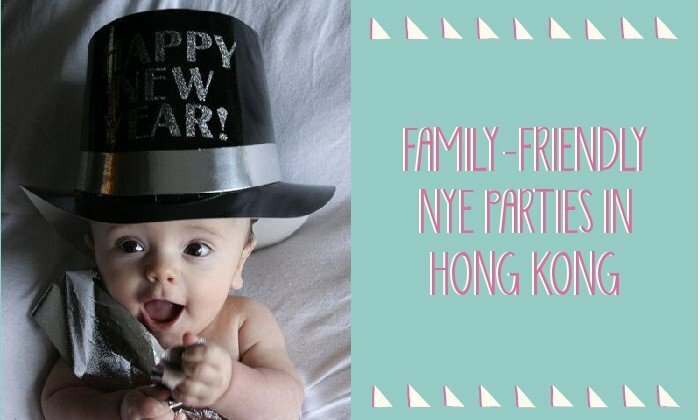 Hong Kong’s Top Six Family-Friendly New Year’s Eve Spots! Check out these spots to ring in the New Year with your family! The key to partying with the entire family on New Year’s Eve is definitely fab food, champagne and of course, enough entertainment to keep you awake until countdown! A hard task these days. If you’re still looking for that perfect family-friendly venue we’ve rounded up a remarkable range of New Year’s Eve options to ring in 2016 with little one’s in tow. A word to the wise: Don’t blow the budget and calories in one evening since having a late brunch on the first day of 2016 is another occasion to celebrate before school kicks in! Hong Kong Disneyland’s two hotels are already fully booked as of this writing. The Aqualuna cruise across Victoria Harbour is sold out as well. The Hong Kong Philharmonic Concert: “A Viennese New Year” which has been a homegrown tradition with tickets for both Dec. 30 & 31 sold out as of this writing. A cultured option for next year and tickets can be released as early as the 1st of September. Note to self: New Year’s Eve in Hong Kong involves strategy, foresight and pre-planning so let’s review a number of cool options in the 852. Call me biased but when you have kids, Italian restaurants are the most understanding since a bit of noise is a sign of la vida! Isola has an amazing location featuring al fresco dining where you can catch the fireworks dazzling at midnight. Being in the heart of IFC is convenient where you can also shop or catch a film before the countdown. Ideal for the multi-tasking Sassy Mamas! Their resident Executive Chef Omar Agostini who hails from the Italian region of Bruzzo (who actually picked up the phone in the kitchen when I rang to inquire about the specials) waxed lyrical about the Italian 5-course NYE dinner featuring a Fillet of Beef Rossini with foie gras and truffle as its main course. The hotel which has the world’s highest bar dubbed the Ozone will be offering a “Hollywood” Red Carpet event with eclectic DJs. This will probably be the venue for your college kids after dinner. For families with younger children, the Café 103 will be a cool venue with a sumptuous New Year’s Eve Dinner Buffet from 6:30 pm to 10:00 pm. Proceed to Level 9 Porte Cohere (Standing Room only) where the hotel’s New Year’s Eve countdown event will be held from 10:00 pm to 1:00 pm. Enjoy the fireworks from this vantage point and make a mental note of the New Year Hangover brunch at Ozone so you can further indulge with a healthier twist featuring detox juices and comfort food. Price: Café 103 NYE Dinner Buffet is HK$ 1,488 per adult with free flow Veuve Clicquot Champagne, House White & Red Wines. HK$828 per child with free flow orange juice and soft drinks. The Countdown event is HK$290 per guest including a glass of Champagne and a piece of Pierre Herme Paris Macaron. All prices are subject to 10% service charge. It’s official: The most incredible view of Victoria Harbour is from the Tsim Sha Tsui side of our magical metropolis. Imagine: Dining on incredible Italian food in a sleek restaurant with floor to ceiling glass framing the most phenomenal views of Victoria Harbour. Italian Chef Andrea Delzanno has prepared a six-course set dinner showcasing a succulent range of dishes from the Roast Pigeon Breast with seared duck liver and black truffle sauce to Lamb loin with Red bell pepper, sweet chard and mulled wine sauce. Jane Zou, an interesting Italian and Chinese singer will be performing on the evening of the 31st of December. Diners will be granted the best privilege of exclusive access to the al fresco terrace of Cucina overlooking Victoria Harbour to view the New Year’s Eve fireworks. The cool countdown event will have a DJ spinning the rhythm outdoors at the terrace from 10:30 pm to 1:30 am. Price: HK$1,988 per person for a six-course Italian set dinner. How about a festive prelude to New Year’s Eve where the whole family can get into the action and hopefully get home by midnight? The Great European Carnival combines the best of a Carnival and Festival into a singular outdoor extravaganza featuring incredible rides, games, festival food and a Giant Purple Cow! Located in the iconic Central Harbourfront where new attractions such as the Udderbelly Festival, will be making its international debut featuring a wide range of affordable entertainment from musical acts, world famous comedy performers to theatrical entertainment for the whole family. The carnival is open from 11:00 to 23:00 on the 31st of December 2015. Last entry is 22:30. Why not have a lavish dinner at home and catch up with your grown up kids then unravel a game changer to show them how Mom and Dad can party on New Year’s Eve! Duddell’s is transforming into a glittering desert oasis where the glamour, treasures and mystic of ancient Egypt will make you all “Walk Like an Egyptian into 2016”. A Cleopatra inspired countdown will be staged with a DJ and live band. Ruinar champagne and late night bites included. Wear your Egyptian look well and get the chance to win the Best Dressed title and HK$5,000 dining voucher for the 2 Michelin starred Duddell’s. Starts at 10:00 pm till late at the Salon and Garden Terrace of Duddell’s. How about a deliciously decadent alternative? Venture into a grand hotel that lives up to its name. Proceed to the 11th floor and celebrate under the stars by the poolside at The Grill with an al fresco barbecue dinner buffet. Featuring a gourmet’s dream grill with Lobster, Tiger prawn, US Beef Tenderloin, Sea bass, Lamb Chops, Spring Chicken and Pork Cheek on the barbecue. Plus, a remarkable range of soups, salads and desserts will complement the festive spread. The renowned Tony Carpio big band will be performing classic holiday tunes at the hotel mezzanine from 7:00 pm onwards. Guests will be invited to the countdown event at the lobby with a complimentary glass of champagne to ring in the New Year! Price: HK$980.00 for adults and 50% off for kids between 6 to 12 years old and below 6 years old is free. Michele Mitschiener runs Milestone Communications, a bespoke Marketing Communications firm in Hong Kong while running after her two sporty sons on golf courses, rugby and soccer fields. She also has a doctorate degree in packing, having lived and worked in four continents. Writing is her first love and caramel comes in a close second.